AKIPRESS.COM - Recent satellite photographs show China appears to have built reinforced aircraft hangars on its holdings in the disputed South China Sea, according to a Washington-based think tank, Reutersreports. 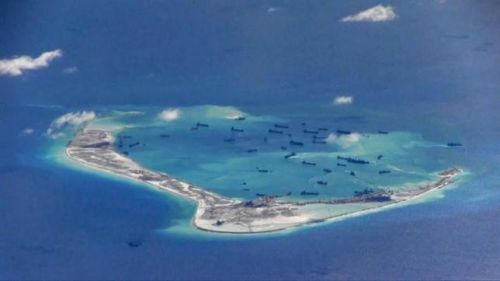 "Except for a brief visit by a military transport plane to Fiery Cross Reef earlier this year, there is no evidence that Beijing has deployed military aircraft to these outposts. But the rapid construction of reinforced hangars at all three features indicates that this is likely to change," CSIS said in a report. The images have emerged about a month after an international court in The Hague ruled against China's sweeping claims in the resource-rich region, a ruling emphatically rejected by Beijing. “China has indisputable sovereignty over the Spratly islands and nearby waters," China's Defence Ministry said in a faxed response to a request for comment on Tuesday. "China has said many times, construction on the Spratly islands and reefs is multipurpose, mixed, and with the exception of necessary military defensive requirements, are more for serving all forms of civil needs." "They are far thicker than you would build for any civilian purpose," Gregory Poling, director of CSIS's Asia Maritime Transparency Initiative, told the New York Times, which first reported on the new images. "They're reinforced to take a strike."